Home / Social Media / TikTok / How Long Can TikTok Survive as the Most Trending Social Network in Asia? When we hear the phrase “social media” the first associations are Facebook and Instagram, right? It is logical because both platforms have hundreds of millions of active users. However, what if I tell you that there is one more platform that is becoming equally popular? Enter TikTok. Is TikTok something mysterious? Is it something absolutely new? Let’s see together, shall we? TikTok was previously known as Musically. It represents a mobile-based Social Networking Service that is becoming more and more popular on a daily basis, especially in the previous year. Believe it or not, this “mysterious” app has about 500 million monthly active users all over the globe. It has even more users than some better-known platforms such as LinkedIn, Snapchat, and Twitter. It is available in 154 different countries. Once again – 154 DIFFERENT COUNTRIES. Can you imagine how many benefits this app can bring you? Let’s continue with the numbers to confirm this statement. Since June 2018, it has always been in the top 4 downloaded apps in the world. For example, in September 2018 it became the most downloaded free app on the Apple App Store. In the same time, it was also ranked first on Google Play over October. It is true that this app is a bit more popular on Android devices, but that doesn’t mean the number of TikTok Apple users is small. Don’t laugh because of the subtitle above. This app really is popular all over Asia. We maybe don’t have our own Kim Kardashian, but we have TikTok, which features thousands of self-made celebrities with a massive followership. For example, every 7th person in Thailand has downloaded this app. That’s about 10 million downloads only in this country. In India, we have about 20 million active users. For SMB owners, this means 20 million potential buyers/customers. And what to say about China that has about 150 million active users? I think there is no need to spend words on that. In Sri Lanka, this app is the fastest growing social media platform at the moment. Every day we have thousands of new TikTok downloads. It is equally popular in Indonesia, Malaysia, Vietnam, etc. I think that SMB owners from South and South-East Asia don’t even know how lucky they are. The conclusion is, this app is more popular in South and South-East Asia than in the western world. In the USA, we have only 5% of world active users. Comparatively, only in India, we have about 40% of users. Who is using TikTok the most? About 66% of TikTok active users are female users. However, when you see how many users it has, 34% of male users is not a small number at all. The fact that is more important is that 66% of TikTok global users are under the age of 30. You will be able to see many youngsters publishing their videos. A lot of them became popular thanks to this SNS. Okay, now when we went through the numbers, it is the right time to see what exactly TikTok is and how this app actually works. TikTok is made by a “ByteDance” - a startup based in China, and that is maybe one of the reasons why this app is so popular in Asia. If you sometimes hear “Douyin” app, don’t get confused. This is how this app is known in China. The name “TikTok” was made when the app creators expanded their business in other parts of the world. The point of using this app is making short-form videos. It allows you to share music videos or lip syncing. You can find various types of videos that include comedy dialogs, pop songs, but also the voices of other users. 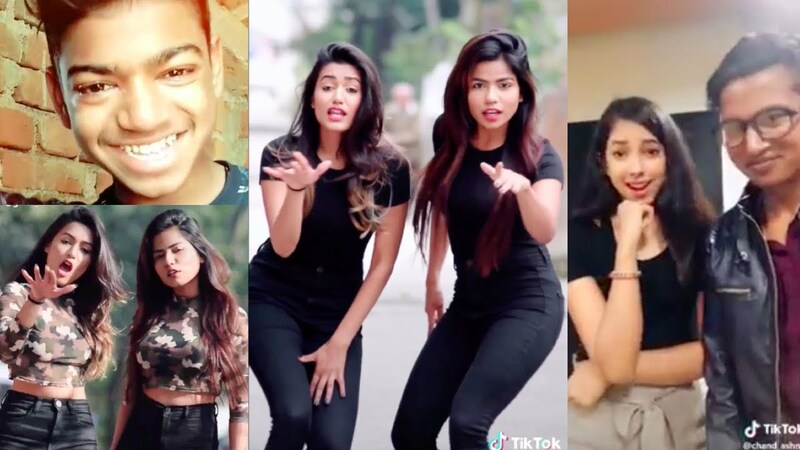 A large number of videos on TikTok have become viral. The engagement of videos is quite good on this platform, and that is probably the main reason why this social networking service is very popular. In the video below you can check some of the top trending videos on TikTok. This compilation will confirm something we talked about before. The majority of people you will see are located in South and South-East Asia. You will also see that most of them are young people. My opinion is that this SNS became popular thanks to video contents. From my experience, video content always has a bigger chance to become viral than the textual one. One more reason is that videos you can find (check the video) are mostly funny. People like to share that sort of content between them. That is the main benefit that marketers and SMB owners should use.